Meet Royce Karras of Deadly Dorian! 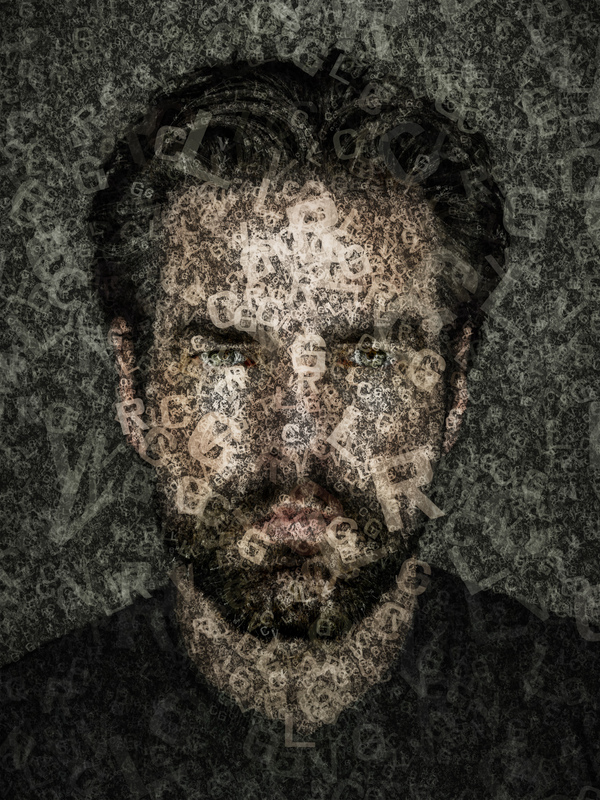 Thirty-five year old Royce Alesandro Karras is remote, broken, yet intensely passionate. He feels things too deeply and his trigger temper has caused him nothing but trouble in the past. 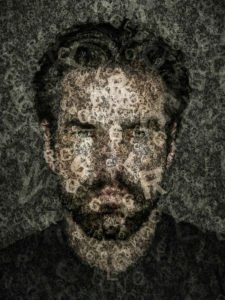 So, he fights hard to keep it under wraps. His preferred workout is boxing and is often teased about taking out his anger on punching bags. He’s interested in what makes people tick, is fiercely loyal, yet finds it hard to make friends. When he does, he’ll do anything for them. His closest friend is his coworker, Quinn Lake. At first, he was drawn to him because he thinks his younger brother would have turned out like him if he’d lived, but he really likes the guy. Royce was born in New York to Greek and American parents. He was named for his American mother’s father, but his surname comes from the famous Karras crime family. His father, who had been head of the family, was killed when he was twelve. His younger brother got caught in crossfire. Royce’s mother didn’t want him to get involved with the family business, so she moved them to Virginia. She struggled to raise him on minimum wage while fighting deep depression. She also tried hard to teach Royce to be kind and an honest worker. 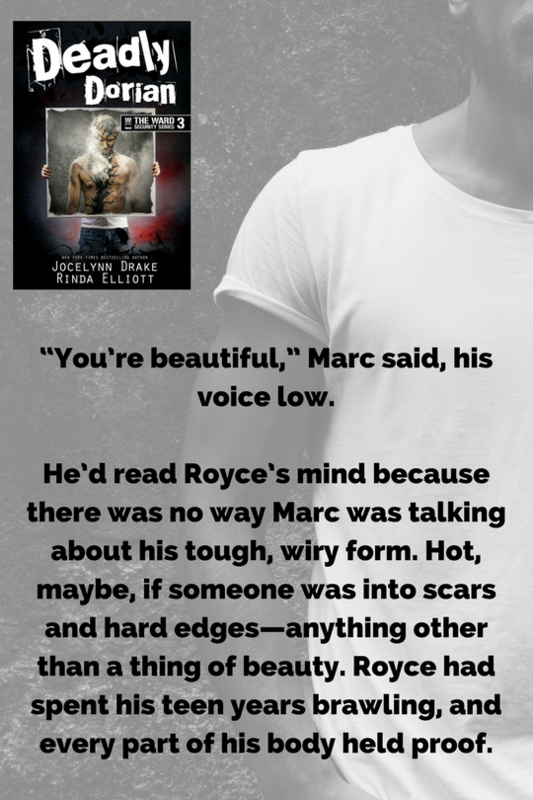 But Royce had always felt the family business was in his blood and he had a lot of unresolved anger from his father and brother’s death, and some issues with his mother taking him away from everyone as well. As a teenager, he acted out on all that anger and became a street fight er. He gained a reputation as a tough opponent, his wiry strength a sneaky weapon against those who expected to beat him because of his short height and slim, wiry body. He was approached to be an enforcer for a bookie in Alexandria at the age of twenty and he accepted. The bookie loved his sneaky, scary countenance. It was his job to get the gambling money owed and he broke more than a few bones. It paid better than other dead end jobs and he had no interest in going to college. He flat out told his boss he was gay because he never felt the need to worry or apologize over that aspect of his personality. It is what it is. It was a good job although when he had to do the more undesirable aspects, his mother’s sad face haunted him. So did his own conscience. The more he got involved in that business, the more he realized he actually wasn’t like his father. So, he began saving nearly every penny he made with the plans of cutting ties to Virginia and taking his mother somewhere else. 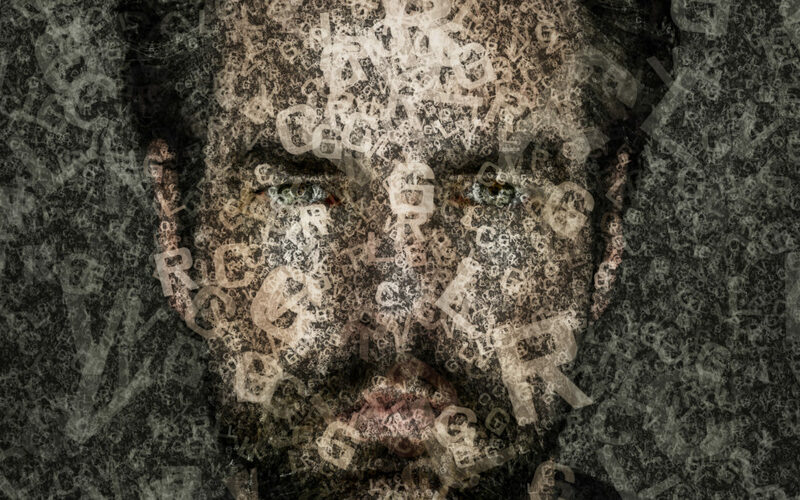 Before he could leave, he met a writer who turned his world upside down. They met in a coffee shop because Royce went every day to get a glimpse of the short, very cute guy in the hipster glasses who sat with a laptop in the corner booth. The man always wore a scarf–even when it was warm out. He later learned Michael had scars on his throat from a rough past and he liked to cover them up. The scars never bothered Royce. He fell for Michael and he fell hard. He spent some of his savings to get them a townhouse in Alexandria and they settled in together. Michael had dreams of his books making bestseller lists and Royce started working harder to get out of the business. One year later, all of that was destroyed because of his own actions. Devastated, Royce left Virginia and moved to Cincinnati. He got a job with Ward Security because he decided his particular skills could work on the other side of the law. He gets to protect people and fight the bad guys now. He tries to keep his life clean. He works out, he eats clean, and he protects good people. He still deals with a lot of anger and although it’s been five years, his heart is still shattered over losing Michael. 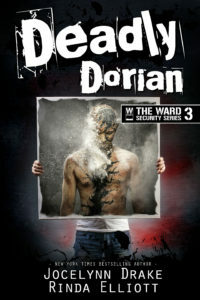 Deadly Dorian releases April 13th! You can pre-order your copy now! You can also sign up for our newsletter to get all the latest news and you can join our Unbreakable Readers Facebook group to get fun sneak peeks early! 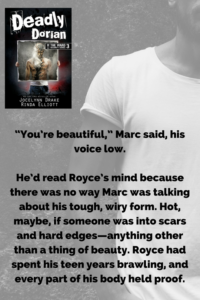 Deadly Dorian is my personal favorite book in your series, and Royce is definitely my favorite character.. You keep getting better, keep up the good work.